Graziela Preiser has been reaching children's rooms around the whole world with her playful ABC-motifs since 1972. Whether on bed linen or nightwear, the ABC-motif is still one of the classics among the children's motifs. Graziela Preiser has therefore been honoured with a golden medal by the Art Directors Club. With the ABC Poster byGraziela presents a colourful, vivid decoration for the children's room and helps the small ones learning the alphabet at the same time – from A for Apple to Z for Zebra, every letter has the suitable word to learn it. 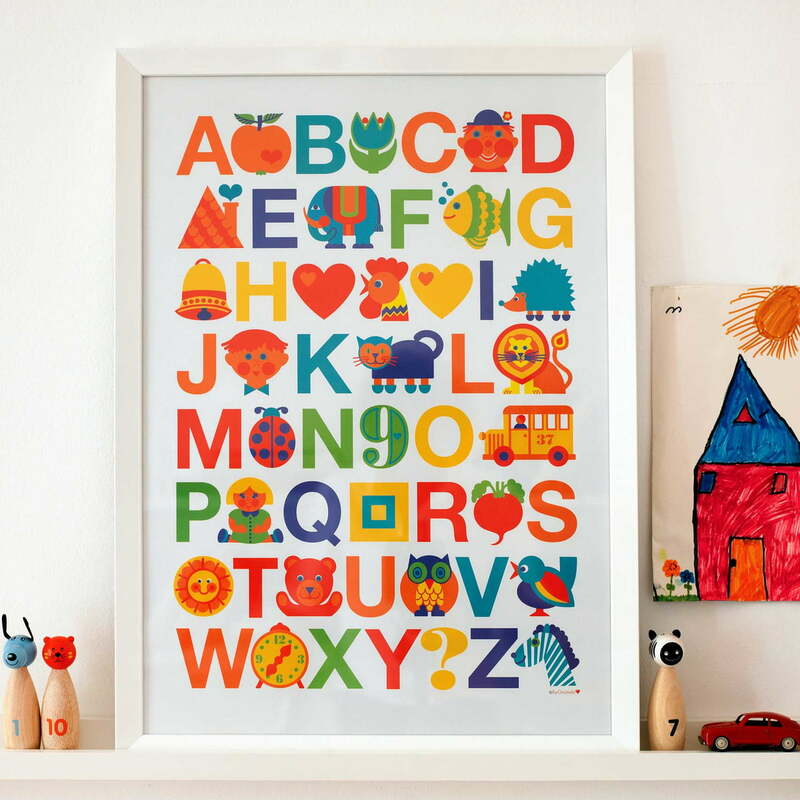 The ABC poster is the perfect gift not only for children. 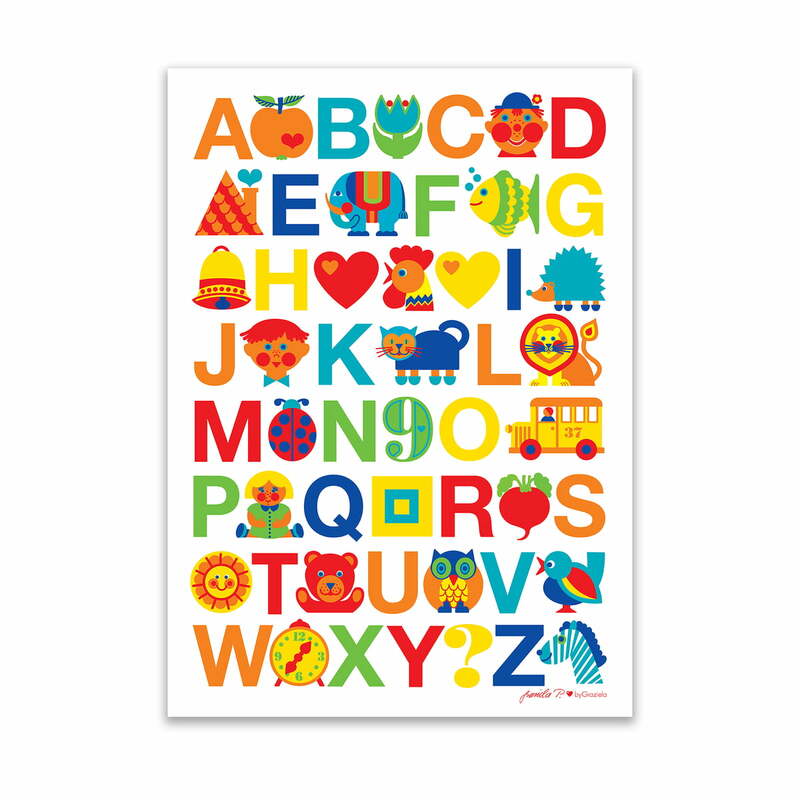 Also as wall decoration in the living room the ABC poster is a vivid and charming eye-catcher. The poster from byGraziela is delivered unframed. The poster fits in a standard frame and is printed with nonhazardous inks according to EN 71.